Fly-fisher Matus Solobic nailed three fish, a meaty carp and two largemouth bass. Next, fly-fisher Andy Wilcox caught three bass, two at seven inches. Finally, from the kids’ derby, Jayson Zwalen, nabbed two bass. The bucket brigade (me included) hauled much of what got caught to biologist Rosie Dagit, who weighed and measured the fish, before releasing them back to the river. But the real winner was the river, as well as the people who want to fish it. To see 25 anglers going for it on this hot and humid morning was, frankly, something I never thought I’d see. So much community, good times, real fun. I finally got to meet in person many anglers I’d only known through this blog. And I made a lot of new friends as well. 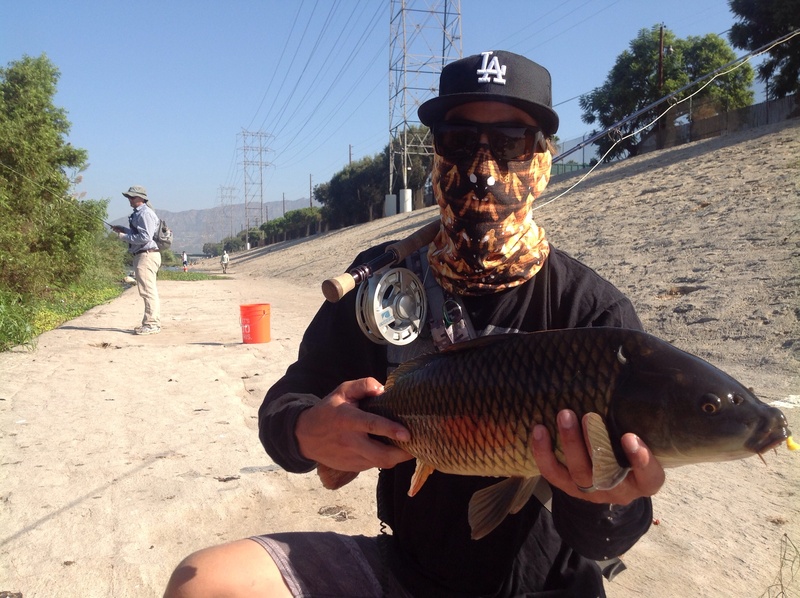 And Friends of the Los Angeles River Lewis MacAdams said the organization will host it again next year. I read about this in the LA Times this morning and I had to come here (to your website) to read more about it. What a great event! I’m glad it was so successful and I hope next year you’ll have even more participants. As a born and bred Angeleno (or Angelena) I always thought it was cruel that the LA River was ‘forgotten’ however events like this one really showcase what a great ‘undiscovered gem’ is flowing in our LA backyard. Kudos to you Jim and thanks for your effort in making this a success. 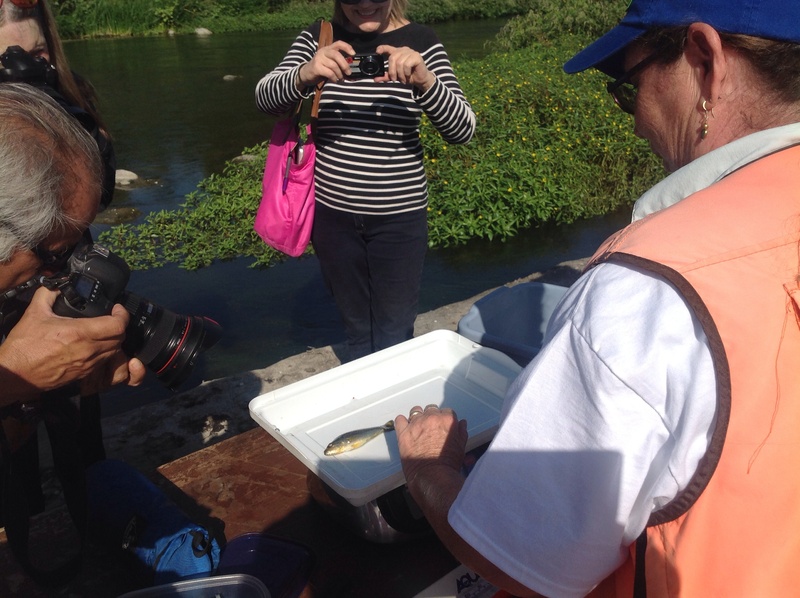 We were happy to participate and meet the dedicated river fishers and huggers …. Also got my picture in the paper with a fish this time so I “closed the circle”, even though it was someone else’s fish! Fine day, good people, beautiful setting, and drop me an email! I’m fishing it next year. Good job to all involved.